Laura Whittle is an Olympian!!! Again we are at Walmley Social Club on Friday October 7th, starting promptly at 7.45pm. As in previous years ticket numbers are limited by our hosts, the maximum number is 180 which has to include organisers and the DJs. Tickets will cost £6.50 each with a discount for 4 or more, price includes a jacket potato and fillings. Tickets will be on sale in the clubhouse from 7.30pm on Tuesday September 13th and following club nights. They will be sold on a first come first served basis and payment at the time of purchase. There will be no admittance on the night without a ticket. This early information will hopefully help to avoid the disappointment of previous years when members/parents were asking for tickets the night before the sold out event. 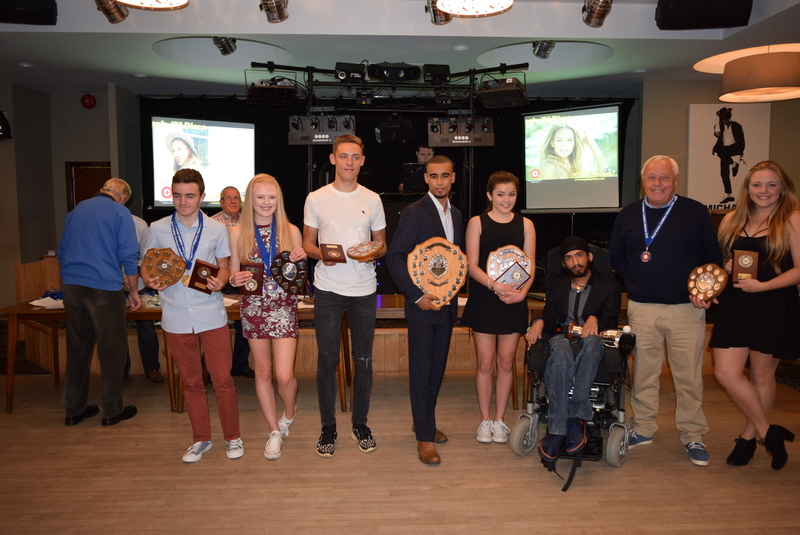 We are continually looking for a larger venue with a capacity of 250 to 300 to enable more members and parents to attend what is usually a very enjoyable evening celebrating the achievements of our members young and not so young. Here’s a report from Brian covering a gold for one of our rising stars at the Midland Champs last weekend. 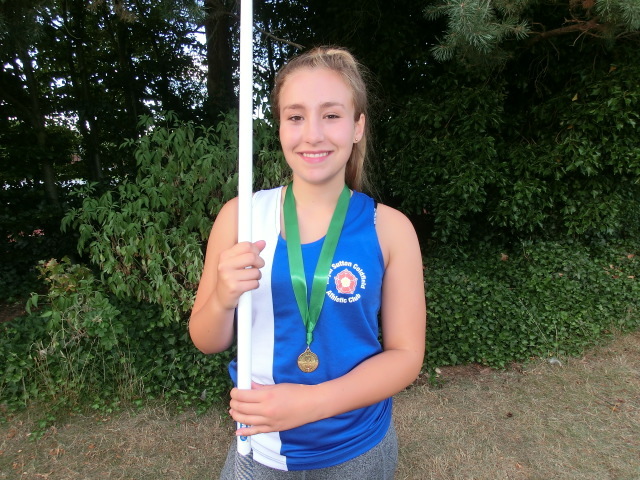 Under-15 Royal Sutton AC athlete Jasmine Walker won gold in the U15 girl’s javelin competition last Saturday in the Midland Track and Field Championships at Nuneaton. Jasmine secured victory with virtually the last throw of the competition after a tense 6-round battle with the Midland’s top throwers in the age group. The throw was measured at 35.26 metres, breaking the club record and extending her lead at the top of the West Midland’s rankings and moving her into the top 20 UK rankings. Thirteen year old Jasmine is still at the bottom end of the age group and will be aiming for more success next year. She has already thrown the qualifying distance for the English National Championships and will be competing at Bedford later this month. Also competing for the club in the under-13 girls’ quadrathlon competition last Sunday were Elsa and Zara Buchanan who finished 8th and 25th respectively out of a very large field of young athletes. In this event they had to display all-round ability, competing in the long-jump, high jump, shot-putt and the 100 metres. Notable performances included a high jump of 1.35 metres (a personal best for Elsa) and a shot putt of 5.50 metres by Zara. WOW, Super performances by everyone last weekend at Solihull. Check out the RESULTS and you can see how close it was, so well done to all of you because every point really counted. We finished in third place at Solihull which in a very tight finish gave us second place overall after all 4 meetings. Chrissie Prince Under 20 Discus 31.52m .This breaks her own record of 30.98 set earlier this year. Mens 4x100m Relay 43.7 secs( team of Kane Howitt,Ethan Brough,Shem Nelson and Nick Pryce). This beats the old record of 43.8 set in 2015 and 2016. Check out the Sutton Observer for a full report. In addition, there are some photos on the Abingdon AC FLICKR page. Once again well done to all you athletes with a special thanks to our officials as well as Graham as our acting Team Manager. PS Does Sunday’s performances mean that next year I should spend all of the season attending Weddings in Cyprus? Here are our lucky July winners ! Congratulations to all our winners and thank you for your support. Next draw in … November.. There are numbers still available, only £16.20 a number.